A hundred years ago, the lord of the vampires, Dracula, was sealed by Christopher Belmont to his century of slumber and now a century has passed and he has risen up and seeks revenge from him by kidnapping the wife of of Christopher's offspring Simon Belmont, and now he must embark on a very lonely and dangerous journey to vanish Dracula once and for all. While the brief synopsis of the game's story sounds very interesting at first, it's pretty much that you will get from this game, but I guess it's not that surprising since this is an NES game, it's pretty much the gameplay that this game focuses a lot more, but as far as the story goes, it was cool. 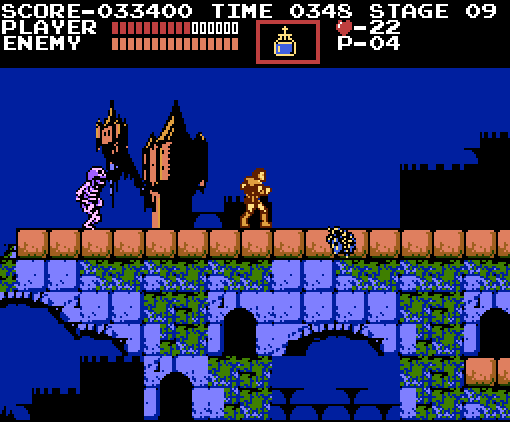 Castlevania is an action adventure game with platform elements also, and the game has six levels divided by stages, your weapon is a whip and can be upgraded three times by making it stronger at first and then longer, but there are also other sub-weapons that you can use, like a dagger that, while weak, it can be used as a projectile, a cross that can be used as a boomerang and finally a stop watch in which, interestingly enough, can stop time for three seconds, and you can use them anytime by pressing up in the d-pad and then B. But in order to use them, you need to have a certain amount of hearts, in which they are used like ammunition for the sub-weapon that you can possess instead of healing you strangely enough, and not to mention that there are also tablets with roman numerals on them, where the II allows you to fire the 2 sub-weapons that you have equipped (since you can only carry one sub-weapon) at a time and the III in which allows you to fire 3. But the weapons, the hearts and the power-ups can be found in candelabra or in other words, candles, and some secret walls located throughout the castle and you can break them by attacking them with your whip, and these items do not change their position no matter how many time you play this game, which is a good thing. The game is linear, but there are elements so that the game has some variety while progressing, like some stairs that you can climb up at your own will, some moving platforms that you must sometimes jump on, etc. but one of the problems I had with the platforming segments is that your jump is very stiff, since you can only jump straight up, left, or right and there is no midair control, and while you'll get used to it with practice, it's still a little frustrating to do, and not to mention that when you receive damage, you will get knocked back a distance, in which this may lead you to fall down into a pit below, but thankfully you don't get knocked back when you are on the stairs. The game looked good for it's time, nowadays, it still looks somewhat impressive, the design and the shadows are very well implemented, but there are some design choices that look very outdated, and there are also some technical issues as well, but the character design for simon belmont looks good as well as the bosses, some enemies look simple but some enemies look good too. The sounds are very appropriate and very good for this game ! and they are very comfortable to listen to. The whole atmosphere or this game is to be just like one of those classic horror movies, even the bosses are also classic horror monsters too (Medusa, Mummies, Frankenstein and, of course, Dracula) ! and the game does a good job at creating this type of atmosphere, even if it lacks being creepy. As for the replayability, as I've said, you're going to practice a lot if you want to be good at this game, meaning that you will play this game over and over again, but other than that, the game also has a score system, so that way you can try your best and rank up the most points that you can do, but just remember that once you're out of lives, the score resets, and there is also a lot of secrets to find such as hidden moneybags, crowns, etc. to get more points, and finally, there's a "Hard mode" once you've beat the game, so as it is, you can be quite busy with this game. The game costs 500 Nintendo points, for a game like this where you need to play it again and again just to be good at it, it think it's a good price. This game is a very creepy game considering it's over 25 years old. Epic is the best word to describe this game. I hate those ghosts and bats. Does the famous Konami code work in this game? @Inuyasha4z2 wrote: Does the famous Konami code work in this game? @Jnes5 I heard Castlevania is fairly popular in Mexico. Is that the case? @MechaFreiza wrote: @Jnes5 I heard Castlevania is fairly popular in Mexico. Is that the case? 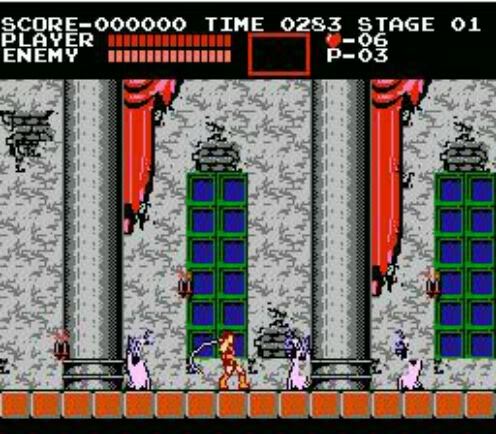 I'm still trying to complete Castlevania III. I chose to begin with Dracula's Curse, because it's actually the prequel in the storyline to Castlevania. 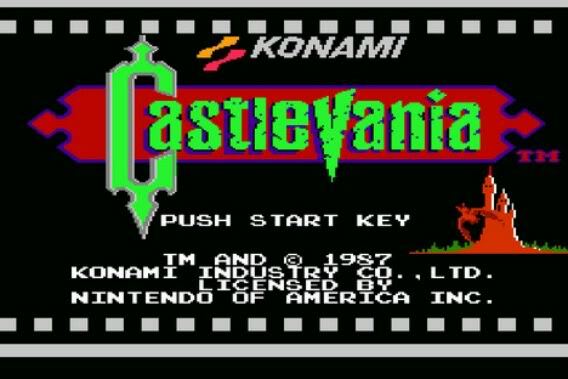 This is the third best Castlevania game ever released! I remember this game being hellishly difficult to beat. 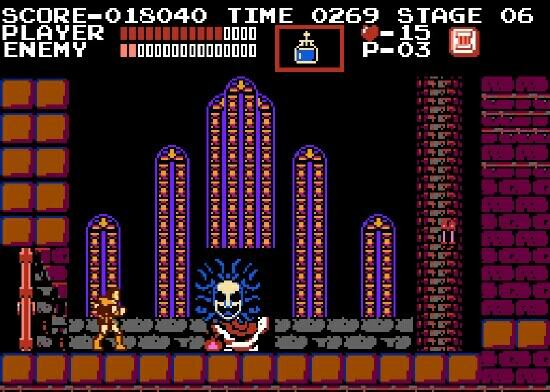 Castlevania was much better back in the nes and snes days.